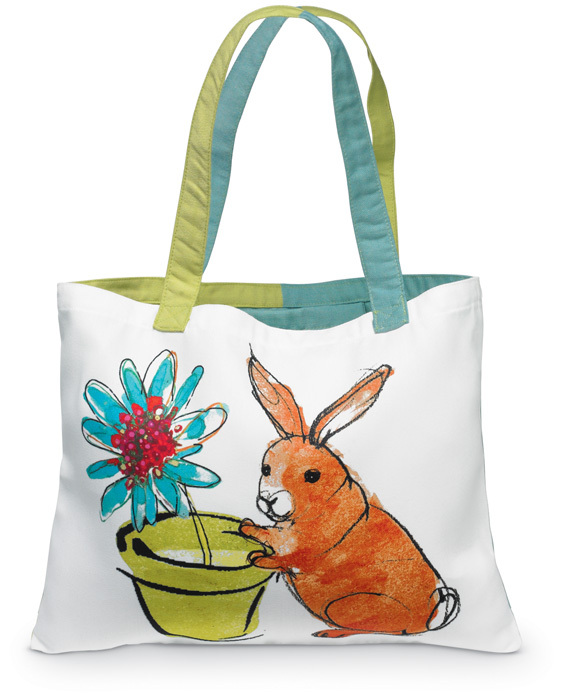 Robbin Rawlings designed the bunny and flowerpot on the front of our tote bag. The art has been hand printed on polyester fabric that feels like cotton. The back has a two-tone teal/green fabric also of polyester. The tote is fade-, mildew- and weather-resistant and has a pocket inside. Formerly $35, now 40% off. 19" x 15"; strap 25"